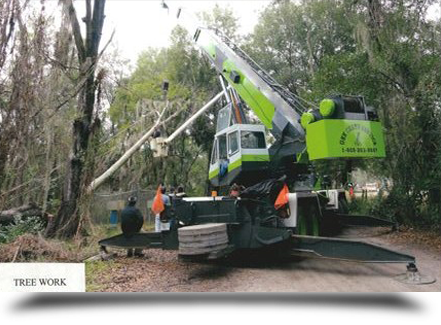 GSK Crane Service, Inc. in Brooksville, FL provides crane and rigging service. Welcome to GSK Crane Service, Inc.
GSK Crane Service, Inc. in Brooksville, FL has been providing crane, rigging and Class “A” General Contracting Services since the early 80’s. Our range of work covers large scopes of construction and we go wherever and whenever to provide service on a 24/7 basis, 365 days a year. We provide 40 ton cranes and up to do the job. We are licensed and insured and our crane operators are NCCCO Certified and have MSHA Certificates and all equipment is third party inspected yearly. Our first priority is SAFETY. Copyright © 2017 GSK Crane Service, Inc. All rights reserved.